Hallelujah! It is our pleasure to announce that through the generosity of Donna and Gary Docken, we are now the proud owners of the Historic Vaughn Library Hall! 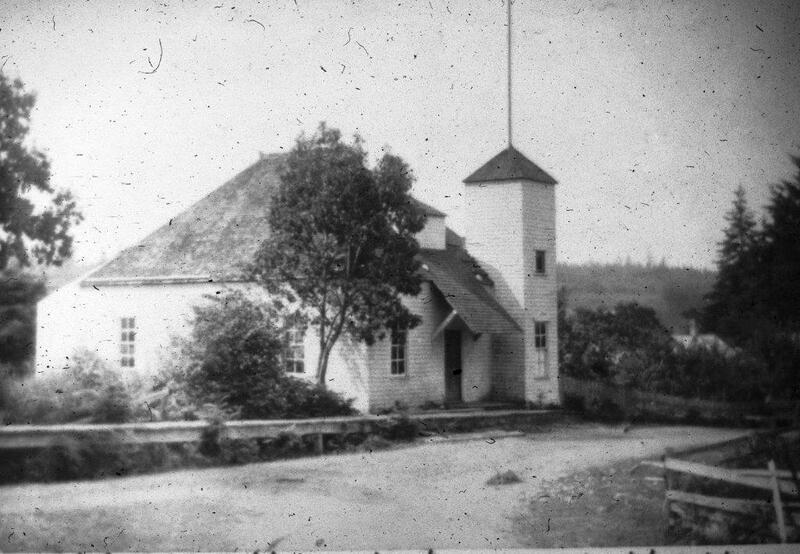 This is an opportunity for the Historical Society and community to work together to preserve the last remaining original community hall on the Key Peninsula. It is very exciting to look forward to sharing this experience and the history it holds with young and old. With the deed transferred we can begin to secure the building and clean it up in preparation for an eventual restoration to its original condition. This is certainly a long term project that will require many man hours and the skills and hard work of those willing to volunteer. We are also applying for funding grants, holding fundraisers and welcoming donations toward expenses. So come visit us at the museum, give us a call or email and sign up to be a part of this grand adventure. 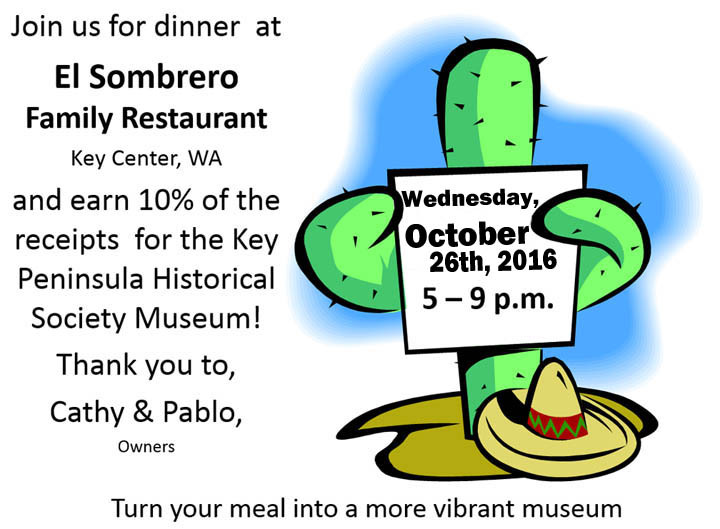 In the meantime, please join us at El Sombrero for some fun, food and funding on Wednesday, October 26, 2016, between the hours of 5 and 9 p.m. Once again Pablo and Cathy, owners of El Sombrero generously support our community by sharing the proceeds for the evening.